There are currently more than 500 energy drink products on the market. The increased popularity correlates with a rapid rise in associated emergency department visits and deaths. 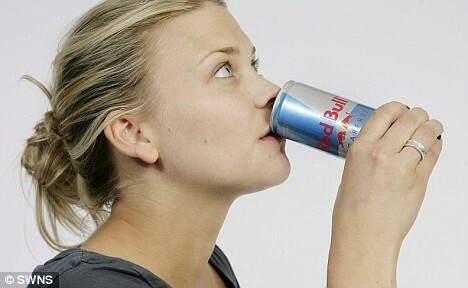 Manufacturers of these products claim they are as safe as caffeine, but there is little evidence to support that claim. Generally, the Food and Drug Administration recognizes caffeine in doses up to 400 mg (about five cups of coffee) as safe. While energy drinks usually contain caffeine, little is known about the safety of some of their other ingredients according to a new study published in the Journal of the American Heart Association. The researchers concluded that consumption of common energy drinks is associated with potentially harmful changes in blood pressure and heart function that are beyond those seen with caffeine alone. The researchers compared physical changes in a group of 18 healthy men and women after consuming a commercially available energy drink and after drinking another concoction with the same amount of caffeine but none of the other ingredients. Besides 320 mg of caffeine, the energy drink contained 4 ounces of sugar, high doses of B vitamins and a proprietary “energy blend” of taurine and other ingredients that are often found drinks like Monster Energy, Red Bull and 5-Hour Energy. Sachin A. Shah of David Grant Medical Center on Travis Air Force Base and University of the Pacific in Stockton, California, and colleagues measured the participants’ blood pressure and used an electrocardiogram (often called an ECG or EKG) to measure heart electrical activity for 24 hours after the subjects consumed the drinks. An ECG change known as QTc prolongation and sometimes associated with life-threatening irregularities in the heartbeat was seen after drinking the energy drink, but not after drinking the caffeine beverage, the study team reports. Several drugs have been withdrawn from the market just for causing ECG changes of a similar magnitude, the authors note. Blood pressure increased by close to 5 points after drinking the energy drink, but by just under 1 point after drinking the caffeine beverage. Blood pressure also remained elevated six hours later. These changes are by no means worrisome for healthy individuals, the researchers say, but patients with certain heart conditions might need to exercise caution consuming energy drinks. Larger studies are needed to evaluate the safety of the noncaffeine ingredients contained in energy drinks, they conclude. Dr. Jennifer L. Harris from University of Connecticut’s Rudd Center for Food Policy and Obesity in Storrs commented that the energy drink industry claims that their products are safe because they have no more caffeine than a premium coffee house coffee. Any research that compares the effects of consuming energy drinks versus caffeine alone provides important evidence for public health advocates who have urged the energy drink companies to stop targeting youth with these potentially harmful products, Harris added. Healthy alternatives to the traditional energy drinks are: freshly brewed matcha tea, or matcha-based products, such as MommyGO natural energy shots. To try a sample, order yours online at MommyGO.co.